Children have developing and growing bodies and abnormal forces applied to their tissues often result in different injuries than those seen when similar forces are applied to the adult body. Below are some examples of how injuries to children can differ from those seen in the adult population. Children often present with a greenstick fracture rather than a complete bone disruption, where the bone bends and cracks like a green stick pulled from a tree. 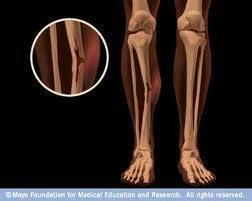 In this instance the bone does not fracture all the way through, but splinters or splits on one side of the bone. The bone can still be deformed but often the child can move the limb better than one would expect with a fracture present and may even be full weight bearing on a green stick fracture of the lower limb. Children’s growing bones are softer than fully formed adult bones. As a result, instead of a joint sprain resulting in ligament rupture as is the case with an adult, the ligament may avulse from the bone itself, leaving the ligament intact, or the bone itself will fracture. Examples most commonly seen are avulsions of the superior attachment of the ACL in a child rather than complete ACL rupture, or fracture of the distal tibial growth plate with a severe lateral ankle sprain. The uncovertebral joints in the cervical spine do not form until around 8 years of age. This means that young children have a more unstable neck, as well as a larger head compared to body size, than adults. Trauma to the neck which results in an acute wry neck (such as a fall onto the head) can be a sign that quite severe damage has occurred to the upper cervical spinal joints. An x-ray is highly recommended in this situation. 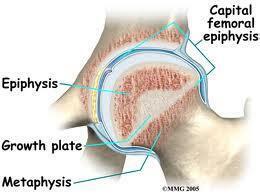 Cervical manipulation is contra-indicated in children under about 12 years of age for this very reason.